Practice is an important part of the creative process. Even if you're not into yoga, many of the principles below can be applied to whatever you intend to create. 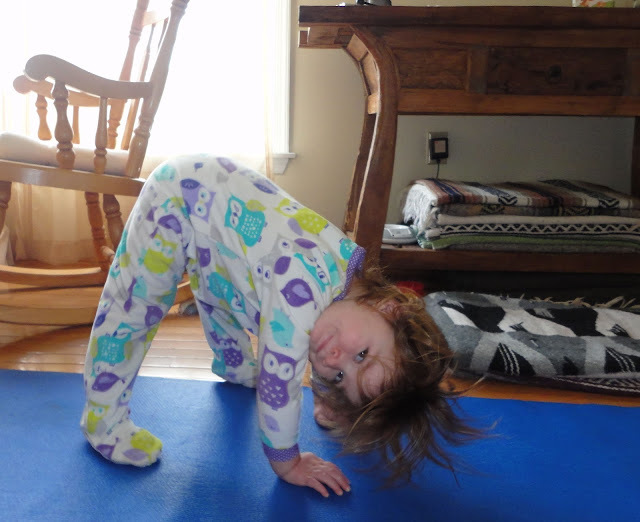 Recently a student asked how to approach a daily home yoga practice. The short answer is, "It depends on where you're starting from, how much time you have, and what your intention is." Here's my one-and-a-half year old granddaughter, who spontaneously rolled out a mat, took Downward Facing Dog pose, and announced, "Nini doing Brown Dog." This brings up the most important tip: Just roll out your mat and begin. Beginning is always the first step. Schedule your practice. Set a dedicated time and place, and do it. 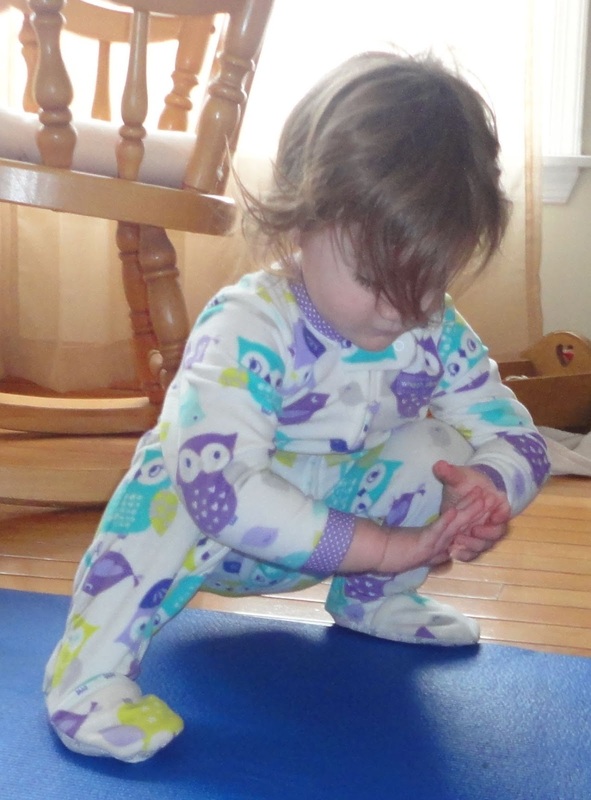 Start either seated, kneeling, laying on your back, standing, or in child's pose. Devote at least a few minutes to get still, to focus awareness away from your thinking mind and into your heart center, to set an intention, and to observe and deepen your breathing. Begin to move with your breath, and always from your center and core tall. Move slowly at first to warm up. Work for length and strength as well as for flexibility and balance. Listen to your breath, let the movement fill into the breath, and keep the breath steady and easy. Never strain anything, and rest if you need to. On a particular day, try concentrating on hip openers, twists, core strengthening, heart opening, balance, or inversions. As time permits, incorporate some sun salutations or at least 1 type of standing pose, hip opener, forward fold, twist, balance, backbend, and inversion. Try to follow a pose with a counterpose. 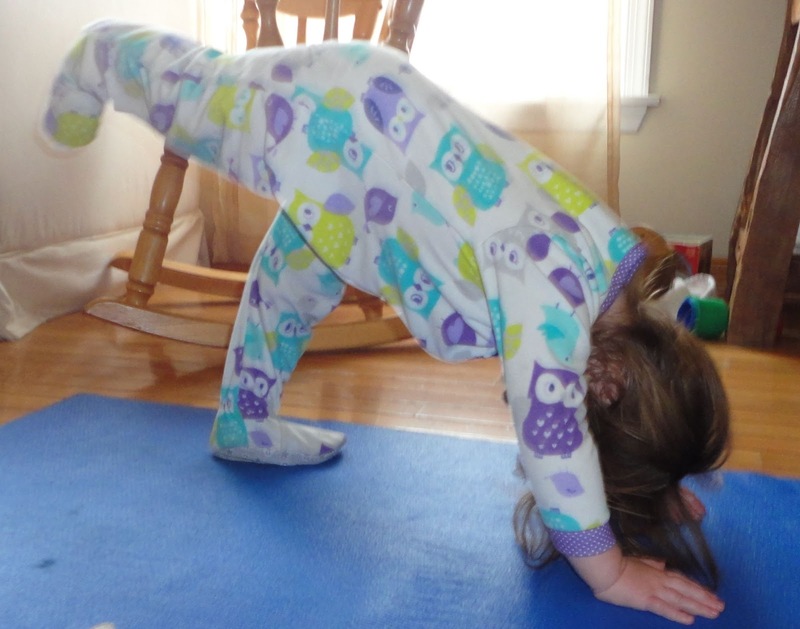 Example: After a back bend, a forward fold. If in doubt what to do next, add a gentle twist between poses, opening from your center. Only move as far as is right for you today, rest if needed, and remember to listen to your inner teacher. Give yourself enough time to sink into final relaxation for at least 5 minutes. Most importantly, move with loving kindness towards yourself, remembering "No pain is no pain." I recommend attending class with an experienced teacher at least once a week to ensure you're developing good habits of breathing, moving, and posture and to encourage you towards greater openings. Any creative practice, from painting to inventing, can be approached like yoga if we free the time and space, set a clear intention, move with the breath and focus, take breaks as needed, and move without struggle. Have fun and enjoy your practice!